Watching videos simultaneously with your friends from a distance has always been a bit of a hassle. Despite reasonably successful attempts being made to improve the situation from companies like Rabbit, syncing videos over long distances has remained an imperfect science. That said, it seems Facebook is looking to create their own alternative. The social media giant is now testing a new "Watch Party" feature among select Facebook Groups. Watch Party, as the name suggests, will allow members of a given group to view videos together in real-time. While watching, users will be able to comment and interact with each other across multiple devices. 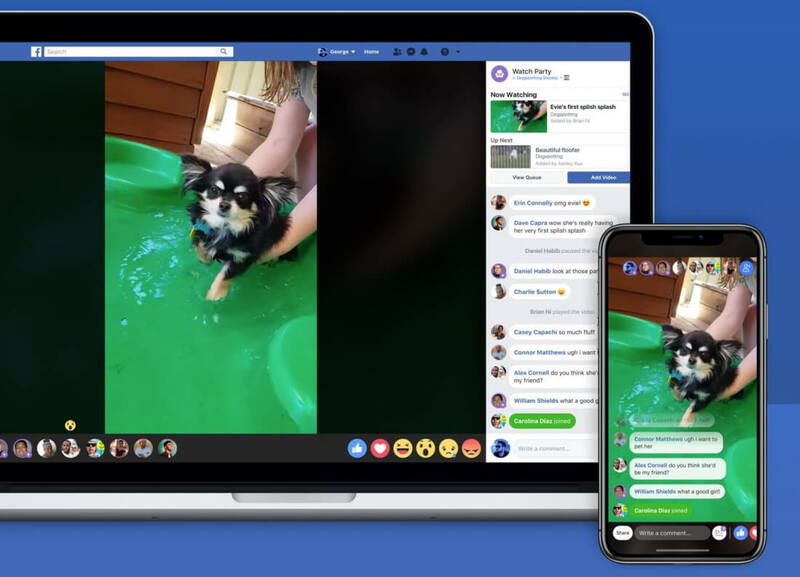 "In a Watch Party, members of a Group can watch videos together in the same space at the same time," said Facebook's vice president of product, Fidji Simo. "With everyone watching, commenting and reacting to the same moments together, it creates a shared viewing experience for video that helps build the kind of community and engagement we've seen with Live." Watch Party will allow group admins and moderators to select any publicly-available live or recorded video on the platform for the group's viewing pleasure. Simo claims the decision to begin testing Watch Party on groups was a natural one. "One billion people use Facebook Groups every month to connect around their passions and hobbies," Simo said in a blog post, further noting that videos are usually a major part of these interactions. Though Watch Party certainly has potential to be one of the more popular features on the platform, it's still in an experimental state so expect a few bugs to crop up from time to time.